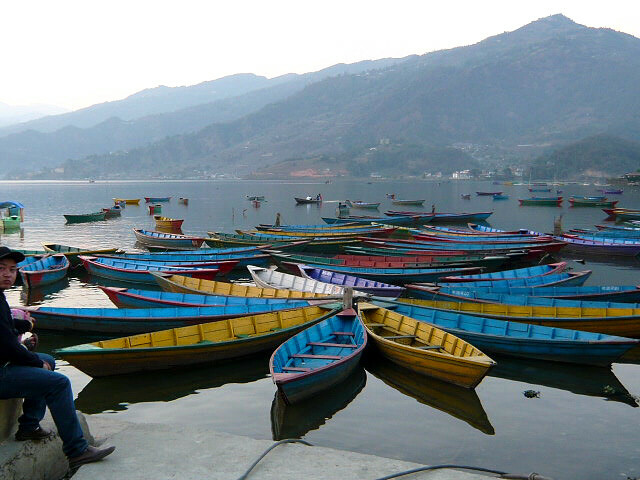 You can take a peaceful boat ride from the town of Pokhara which is strung along the shore of lovely Phewa Lake. 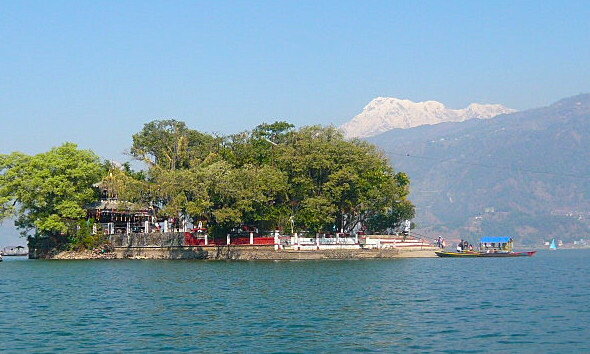 If you wish the boats will drop you at the little island where the Taal Barahi Temple stands. 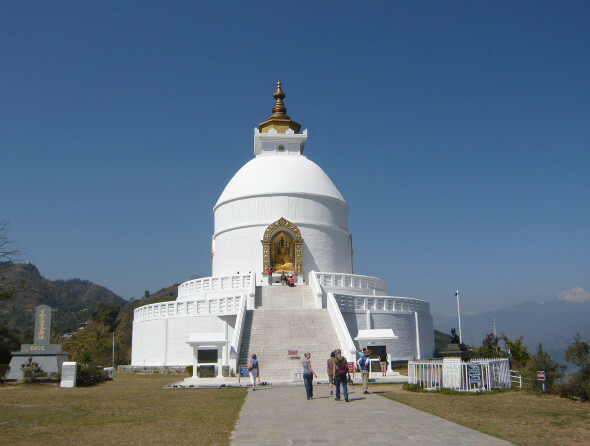 This beautiful Buddhist Peace Pagoda is set high on a hill overlooking Pokhara. 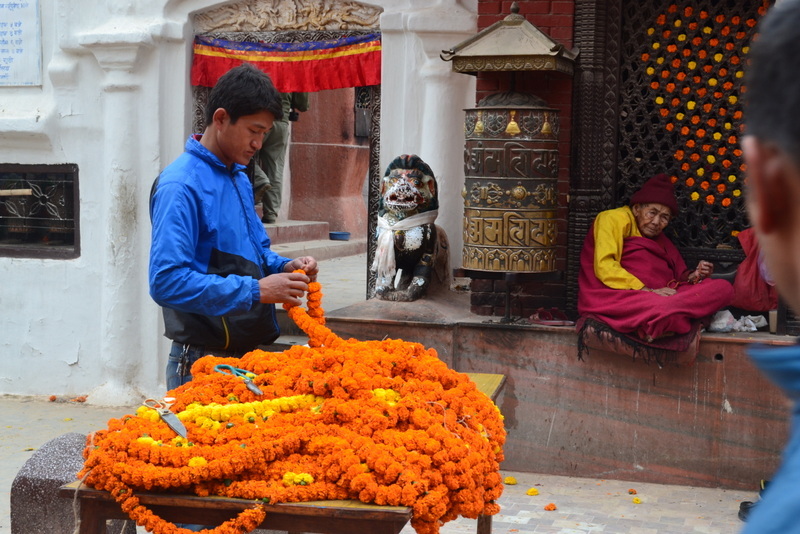 I’m afraid we chickened out and took a hair-raising taxi ride to the top. 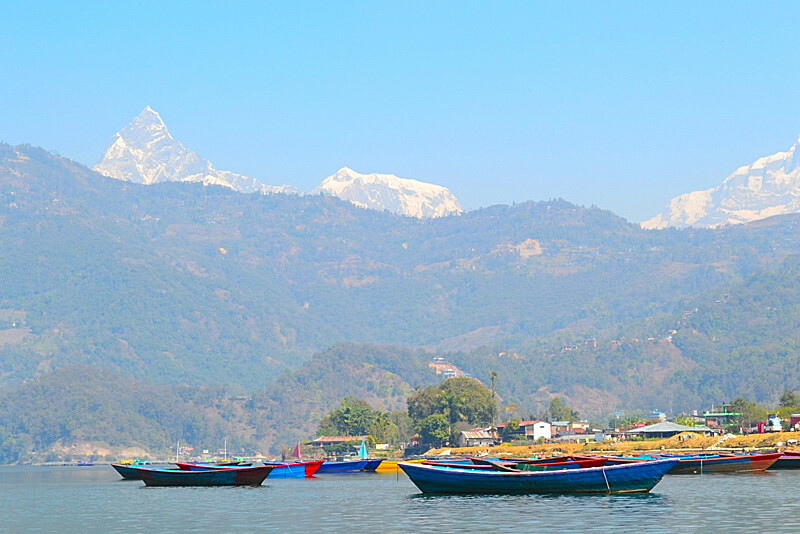 But so worth it, for the peace, the clean clear air, and the views of the mountains with Pokhara laid out like a tablecloth beneath them. Gorgeous. 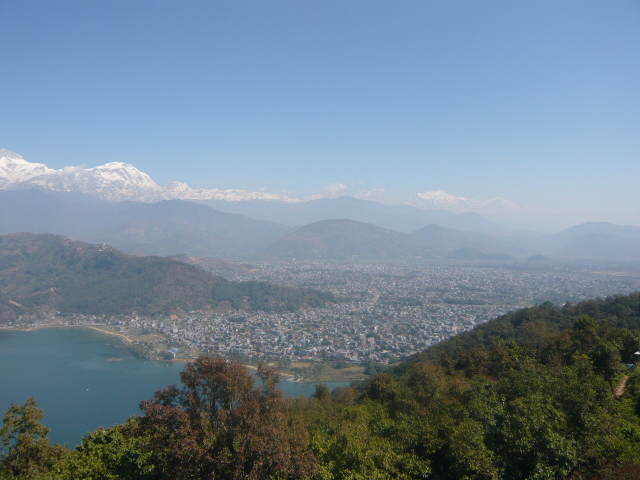 The spectacular view of moutains and Pakhora taken from the Peace Pagoda. 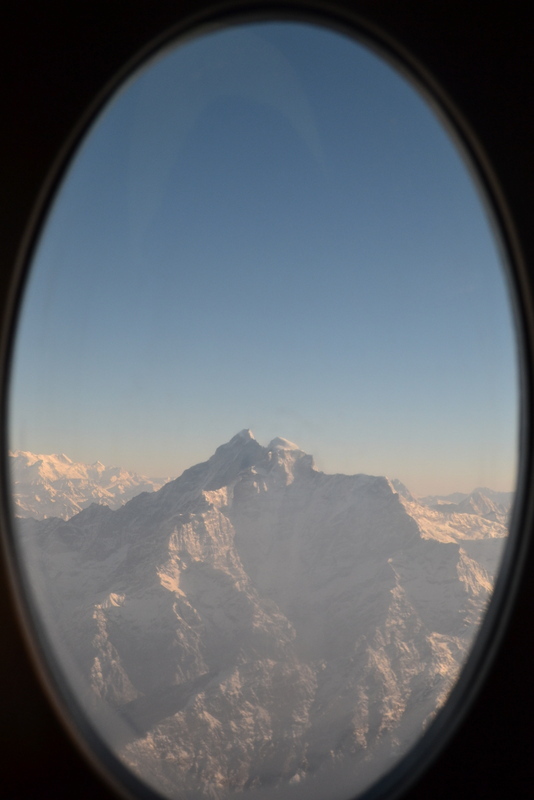 Taken from a very small plane!